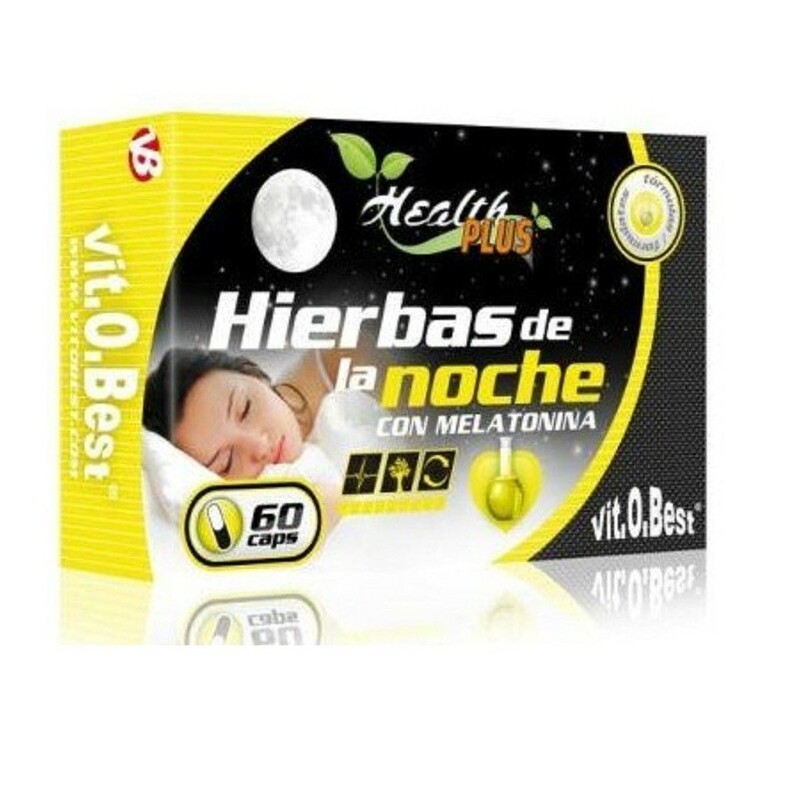 Night herbs, uses an original formula using the highest quality ingredients. 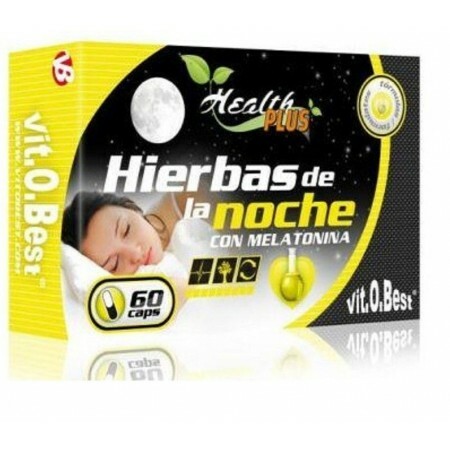 This product has one of the best combinations of herbs to rest. Skullcap extract: is a plant with relaxing and antispasmodic properties. Its components are flavonoids, tannins, bitter iridoids, minerals, and volatile oils. Passionflower extract: It is a plant traditionally used for insomnia caused by brain arousal. Black cohosh extract: For the nerves. Valerian Extract: This is a relaxing plant. 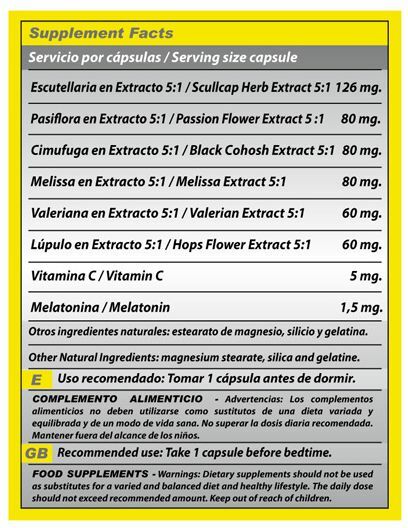 Hops Extract: has more than 20 components. Escutellaria in Extract: 126 mg.
Other natural ingredients: magnesium stearate, silicon and gelatin.